When it comes to the USA, there are still countless cities I've yet to explore. With so many amazing places to visit, it's hard to know where to begin. We tend to flock to the most publicized and popular destinations - think NYC, LA, Miami, Florida - but what about the other underrated cities that go unnoticed? Denver is a perfect example. 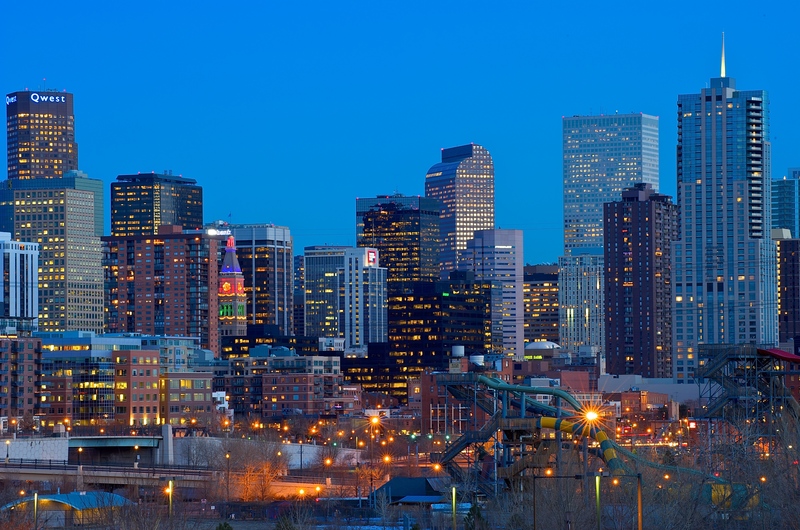 Also known as Mile High City, the Colorado capital is a bustling metropolis best known for its amazing culinary scene, thriving art and culture, sports, and outdoor recreational activities. Situated at the foot of the mountains, Denver is also a gateway to the Rockies where you'll find endless stretches of hiking trails, nature, and wildlife, and a range of world-class ski resorts just a short drive from the city. Boasting a mix of urban living, culture, and outdoor adventure, it's safe to say that Denver is a pretty cool destination. If a trip to Colorado's on the cards, here are 5 must-do's in Denver to check out. Did you know that there are over 300 arts organizations and facilities around Denver? The city is packed with music events, theatre shows, galleries, and museums, so there's no shortage of cultural vibrancy. Whether you're into contemporary art, natural history, or science, you should definitely spend a day appreciating Denver's artsy side. If you're looking to explore Denver's best attractions, The Boulder Dushanbe Teahouse is one of the city's coolest gems. It's a bar, restaurant, teahouse, and official museum all rolled into one. Lined with exquisite paintings and breath-taking décor, this teahouse is in fact the most luxurious and expensive gift Russia has ever given to the United States, undoubtedly making it one of Denver's must-visit spots. Perfectly framed by the Rocky Mountains, Denver offers a whole range of outdoor adventures. In and around Downtown, check out the city's man-made kayak chutes in Confluence Park, ride the 85 miles of bike trails, enjoy the blooms at the Botanical Gardens, and get to know 330 species of wildlife at the Rocky Mountain Arsenal Wildlife Refuge. For something a little more remote, drive out to the Rockies on the highest highway in the world and embrace the hiking trails, glacier lakes, waterfalls, nature, and never-ending wilderness. Whether you're a baseball, soccer, basketball, hockey, rugby, football, or lacrosse fan, Denver has you covered. Mile High City is home to seven professional sports teams, so you'd be mad not to catch a game while you're in town. Watch NFL team Denver Broncos from September to January, and Major League Baseball team The Colorado Rockies from April to September. Denver's food scene is booming. Featuring a whole world of gourmet food trucks, an explosion of craft breweries, a number of bakeries and markets, a bunch of cool cafes, and mixology specialists who create the city's best cocktails, Denver is any foodie's heaven. Food is really taking off here, so be sure to check out the city's different neighbourhoods and explore the cuisine. With such a great mix of arts, food, adventure, and urban life, it's hard to find reasons not to visit this bustling city. Read more about my travels on www.golivexplore.com.